In honor of our D-Day. On August 20, 2004, a pediatric neurologist scribbled, “Diagnostic code 299.00. 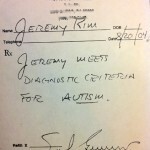 Autism,” on a prescription pad. Some pieces of paper cut far deeper than others. A marriage certificate. Divorce papers. A Do Not Resuscitate Form. An adoption certificate. A will, deed or pink slip. “Just a piece of paper”? Hardly. At the moment of issue, each irrevocably impacts the life of the recipient, rippling out from the epicenter to affect the lives of everyone surrounding. After months of speculation, medical testing, and dread, our firstborn had been diagnosed with autism. It was just a piece of paper, weighing less than an ounce. But it was the heaviest burden I’d ever hold. Some pieces of paper cut far deeper than others. In the face of “Severely disabled. Mentally retarded. Prognosis unknown,” how is God still good? That Paper severed all connections between my head and heart. Any earlier beliefs, convictions or even feelings went numb as disillusionment and spiritual death hovered near. My faith was flat-lining. We both required urgent and intensive intervention. Spiritual surgery is not without pain. You could keep reapplying pat, Sunday School-answers, like a plastic Band-Aid on a stab wound. But superficial solutions never really stick. Shallow treatment doesn’t mend torn tissue or flush out the emotional pus festering deep within. Sometimes, you have to cut deep, to really deal with what’s going on inside. What does the Bible have to do with the modern-day, gritty realities of raising a disabled child? How is an antique, archaic book relevant? What does an omnipotent God know about raising a disabled child? His Child was perfect. He knows the joyful anticipation of beloved children. He prepared lavishly for their arrival, too, just like any eager Parent. He understands the heartache when those children don’t turn out as expected, despite having done everything right to guarantee them. And His heart was filled with pain. He’s the Father of a Wounded Son who was bullied, misunderstood, rejected and scorned. He shares my feral protectiveness, outrage and demand for justice. He’s felt completely alone, carrying a Burden no one could understand. He experienced utter disappointment when trusted people weren’t there for Him at His time of need. Ultimately, He demonstrated His power over death and despair. He proved that what the Enemy intended for evil, God can redeem for good. He proved that He is a Redeeming God, the only kind of God He knows how to be. What I thought guaranteed certain death, became the primary vehicle for proving God’s goodness and relevance of His Word. 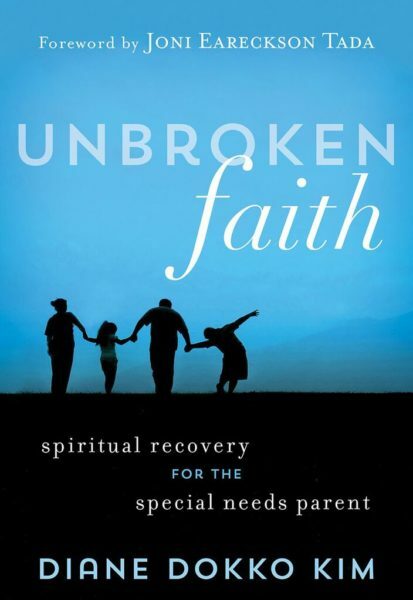 The Word of God became absolutely relevant to struggles and doubts of a special needs parent. Knowing that the God of the Universe understands how I feel, and hurts as I hurt, somehow makes a difference. He gets it. He gets me. For those willing to submit to its scalpel, it wields supernatural skill to sear through the scar tissue of cynicism, cauterise a hemorrhaging heart, and flush out the toxic bile of bitterness. It can bind up and heal that which was once broken. The Bible isn’t just a thick compilation of paper. It is the very Words of Life, able to defibrillate a dying faith and infuse it with new resilience and vitality. 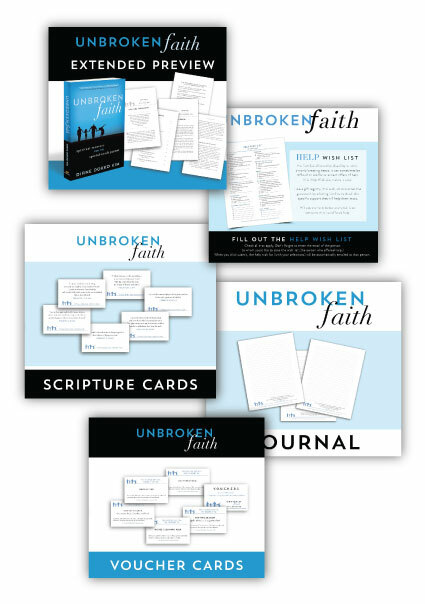 If a single piece of paper could wreck my life in an instant, then over 1,000 divinely inspired pages has infinite power and authority to resurrect, redeem and repurpose. The Word of God has transformed my life. I pray it transforms yours. SUBSCRIBE to receive new posts delivered to your Inbox. Good word Diane. Love you guys! Amen, dear friend. When a wound is so fresh, mortal words can be like salt in our wounds but the Word of God is the Balm of Gilead and He leads us to the Words that He knows will be healing for the situation. Powerful powerful message, Diane. Now I need to go follow up on your links. Thank you. Thanks for your encouragement Karen! Truly, the Word of God has power to transform. Links highly recommended 😉 God bless. It’s been over 31 years since we received our piece of paper! Your blog post echoes deeply within. I was reliving my past and present! You might like to read my husbands book recently published? It’s titled: “Disability and the Gospel” by Michael S. Beates, published by Crossway. Thanks for standing in the gap with us! Mary, I’m so thrilled you connected! I know your husband’s book (been following it’s development) and it’s actually on my Wish List. I’m honored and blessed to be in company with fellow SN ministry champions like you. God bless you and your family! Your writing is full of truth. I remember our dx day, and it was a dark one. We got aspergers vs. high functioning autism. Not quite as heartbreaking as yours, but plenty hard to hear. I do wish Christians could better at keeping their shallow platitudes to themselves in the face of such pain. I also think you point to the ultimate truth, where to find solace and help. I have been blessed by so many people who came into our lives and helped both us and our son on our journey. Dear Cynthia, thank you so much for sharing your experience. It encourages me greatly to hear from fellow parents, who are walking similar journeys. It helps so much to walk with a tribe who “gets it,” right? God bless you and yours! ddlaloux, Thank you so much for connecting! I’m honored to have fellow SN parent/sisters like you along this journey. AMEN to what you’ve shared. You have blessed me 🙂 God bless you, David… and make your family a blessing for others, too. 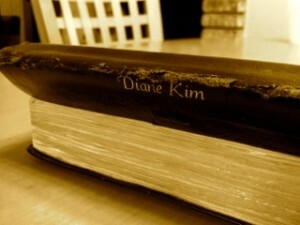 I really was encouraged by your post Diane! Such amazing words! Thank you Naomi. And I’m always blessed and encouraged every time I see how YOU serve and love families like mine. God bless you! Diane, my husband and I are our sitting together tonight celebrating what The Lord has done in us this past summer (a surgical intervention) and I just read him this. Well I should say, I cried and tries to read him these words. Powerful Truth! Thank you for sharing you pain, your love, and especially His divine place in your life! May God continue to use you as an instrument to the broken,bleeding, desperate and disillusioned! Love you! Dear Cynthia, Your encouragement and affirmation mean the world to me! Thank you so much. I’m very thankful to hear the surgery went well, and for healing of many kinds. I’m honored to be surrounded by such a great cloud of witnesses/clinician/ministers like you. So grateful! God bless you and your family — and continue to make you a blessing, too!